How Far is Swapna Nagari? wapna Nagari, A seamless amalgamation of luxury, comfort and style blend to provide a truly sophisticated lifestyle. These Residential Apartments in Pune are beautifully planned keeping in mind the architecture which can soothe your senses whenever you step into your house after a tiring day from work. Swapna Nagari by Shree Sai Associates in Chakan strives for customer satisfaction and believes in building world-class projects without compromising on quality standards, innovation and timely delivery. With well-ventilated apartments and uncluttered nature space, Swapna Nagari makes you feel that every day is an excursion. Swapna Nagari is one of the best investments in Residential properties in Chakan, Pune. The Apartments in Swapna Nagari are strategically constructed keeping in mind excellent connectivity of public transport. Swapna Nagari presents 1 BHK, 2 BHK and 3 BHK Apartments in Pune. 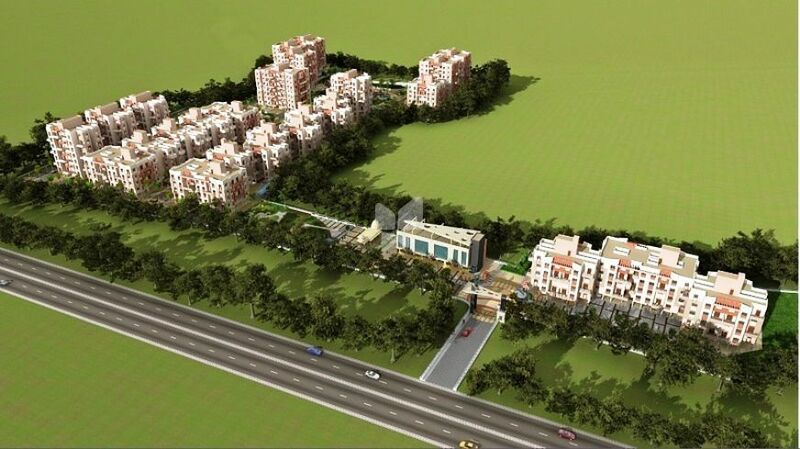 The price of Apartments at Chakan in Swapna Nagari is well suited for the ones looking to invest in property at Pune. Amenities: Swapna Nagari has been designed such that it includes all the world-class amenities such as Badminton Court, Rain Water Harvesting, Indoor Games, Landscaped Garden, Swimming Pool, Gated community, Health Facilities, Tennis Court, 24Hr Backup Electricity, Maintenance Staff, Basket Ball Court, Security, Play Area and Yoga, Aerobics and Meditation Room. Location Advantage: Swapna Nagari is conveniently located at Chakan to provide unmatched connectivity from all the important landmarks and places of everyday utility such as hospitals,schools,supermarts, parks,recreational centers etc. Masonary : 6'' thick wall from External & 4'' thick wall from internal. Plaster : Narrow finish Plaster from Inside and Sand finish Plaster from Outside. Door : Wooden Framed Attractive Laminated Main Door & Marble Framed. Internal waterproof Flush Door. Kitchen : Black Granite Kitchen otta with S. S. Sink aqua guard point. Tiles : 16'' x 16'' branded cermanic tiles in Living, Kitchen and Bedroom. Bathroom & Toilet : Dado 8'' x 12'' tile at bathroom. Lighting : Concealed Electrical wiring with standard fitting and fixture. Windows : Powder coated aluminium sliding windows with security grill. Electricity : Provision of cable T.V. & Telephone point in Living & Master bedroom.